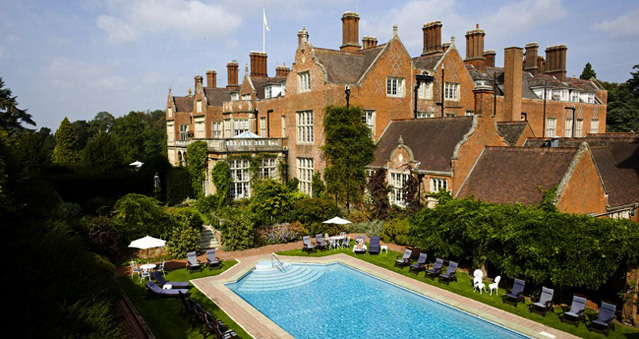 A luxury country house hotel, going back to an age of elegance and gracious living, Tylney Hall is a Grade II listed building and remains an outstanding example of a luxury country house hotel. When you arrive at Tylney Hall Hotel, you are swept along a tree-lined avenue and then all at once the magnificent Victorian era mansion house appears, slowly revealing its full beauty. Step through the entrance archway into the reception area which sets the scene. Your eye is greeted with floor to ceiling walnut panelling that sweeps up the magnificent staircase. A unique setting for holding any teambuilding events – The Killing, Around the World, Awakening the Dead, Stocks in the City, Mixology, The Ultimate Team Build, Get in the Zone, Real Life and so many more. Tylney Hall stands in its own 66 acres of glorious parkland and boasts the longest uninterrupted view in Hampshire. All the facilities and levels of luxury associated with 4 Red Star status are offered at Tylney Hall, including luxurious rooms and suites, gourmet dining, a beautifully appointed Health Suite with Spa treatment rooms and leisure facilities including both an indoor and an outdoor pool, and business, conference centre and banqueting facilities that are second to none. Location: near Basingstoke and Hook, close to the M3 and M25 motorways, makes Tylney Hall very accessible from London, Heathrow Airport and the M4 corridor.